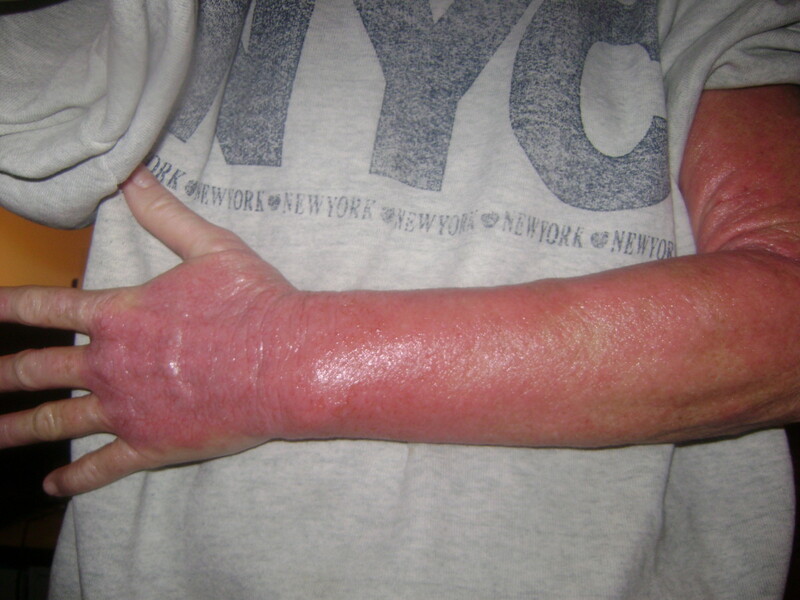 If you need info or help with your steroid-induced skin condition, please check out ITSAN Red Skin Syndrome Support. I was a wee age three in this picture and as far back as my six older siblings remember, I had progressively worse eczema from birth. I do remember my little legs and arms being rashy, sore and itching. By age five my mother began to put long knee socks over my arms at night and pin them to my pajamas. I vividly recall chewing holes through those socks repeatedly to satisfy the urge to scratch. 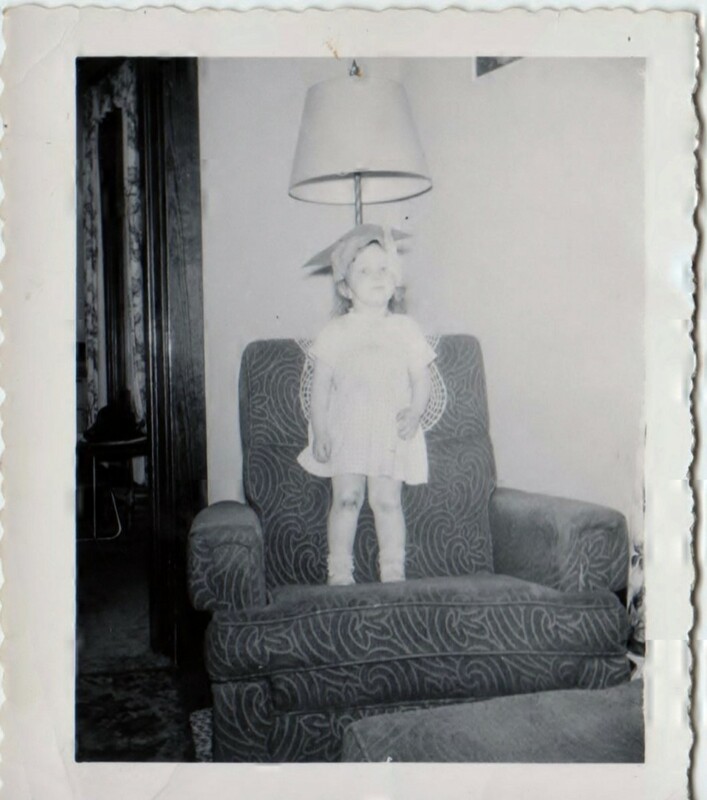 I don't know if she put steroid cream on me at that age as it had been invented shortly before my birth in 1955. My sisters are not sure either but they do remember a stinky coal tar ointment which some are now finding again to be helpful for eczema. To this day, I detest anyone telling me to stop scratching. It is like telling someone to stop breathing in my opinion as the scratching does ease the annoyance for a while. The important thing is how I scratch and that means short nails, gloves when I was really bad off and keeping the skin clean with Epsom salt baths or a dab of apple cider vinegar. Researchers now say that itching comes from the same sources as pain so I know now that I would choose a safer way to handle a child scratching and try to ease it with natural non-steroid ointments and tube wraps at night if they were helpful. My former steroid cream "fix"
All doctors are taught about the many side-effects of oral steroids, the must to monitor their use and to withdraw slowly from them. For whatever reason, topical steroids were considered non-systemic by most in the medical community, safe to use indefinitely and to step up to more potent ones if needed. We now know thanks to increased awareness and studies by concerned doctors, they are potent, systemic and to be monitored the same as oral steroids. 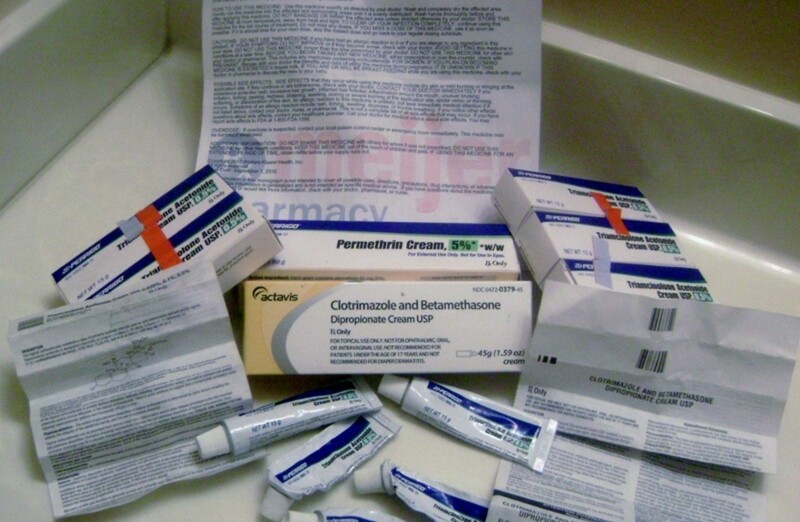 Here is the collection of topical steroids that I had been using for 40+ cumulative years on my inside knees and elbows, then just my fingers later in life. A couple of these were prescribed in the summer of 2010 for what my doc thought was scabies and fungal rash which I now know was steroid overdose symptoms at age 55. It just added insult to injury when I used heavy doses right before I discovered my dependence and rebound cycle from using topical steroids and stopped all of them. BTW, the inserts shown in the pic do tell the side-effects but they don't really tell the potential addiction one could get from these medications. You might wonder how I knew enough to stop using it? 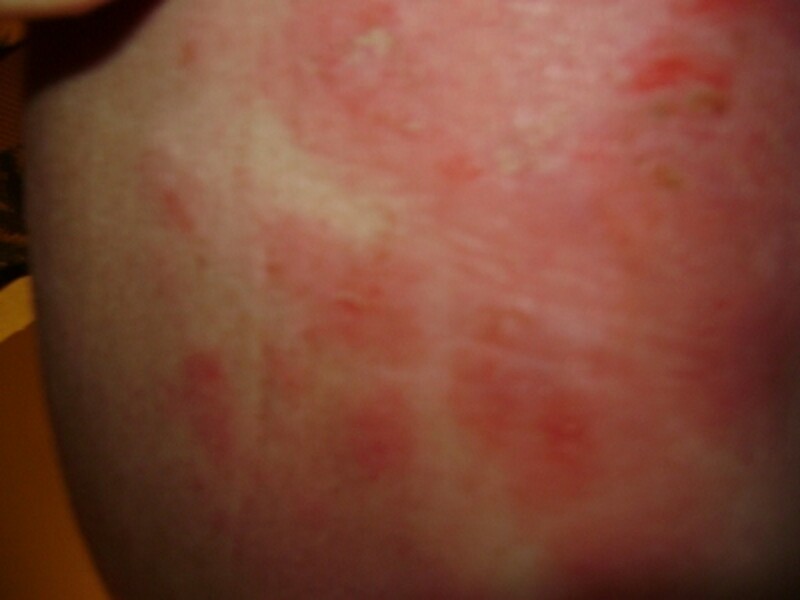 Well at first it was very confusing to me as the usual dab of Triamcinalone on my fingers each day was not longer controlling the eczema on them and now it began to spread all over my body. So, as a last resort and following an online wheat grass website doctor, I finally gave into low doses of an oral steroid called Prednisone and followed this doctor's personal blog post instructions to use 20 mg of it and taper down to 5 mg until my skin "healed." Well, I did that for about five or six weeks and it cleared my skin until each time I got down to 5 mg, but my skin always flared up worse than before at that low dose. I finally realized that the oral steroids were just "feeding the addiction" and I stopped with that futile band-aid effort to heal my skin. 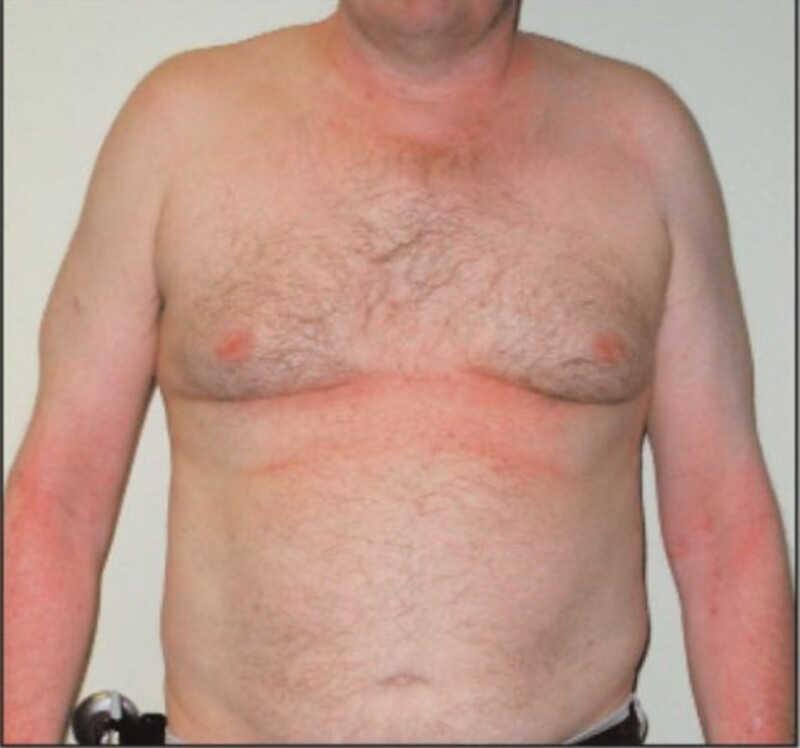 I did a search one night after that in desperation for "steroid cream side effects" and found a website called "Addicted Skin" by Kelly Palace. 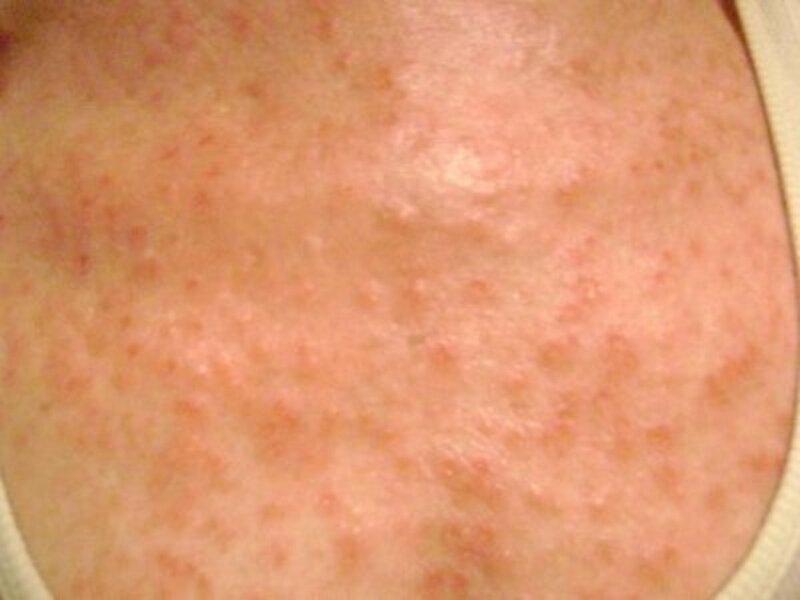 She had pics her skin and explained how she had gotten addicted to these creams and went through withdrawals after finding a dermatologist who diagnosed her with Steroid Red Skin Syndrome (RSS) also called Topical Steroid Addiction & Withdrawal (TSA/TSW). Kelly and her dermatologist eventually co-founded the non-profit called International Topical Steroid Addiction Network (ITSAN) which currently has over 10,000 members from almost 30 countries. They eventually went different directions but she kept working hard with the non-profit friends to raise awareness of this unknown condition called RSS. Kelly realized after a few years that running a non-profit and her own full time job were too much for her. She elected a close comrade (JoAnne VanDyke) as the new ITSAN president who also has endured the withdrawal process. Kelly has given a huge part of her of her heart and soul to ITSAN which is now led by several comrades who were set free of steroid addiction through her online outreach. 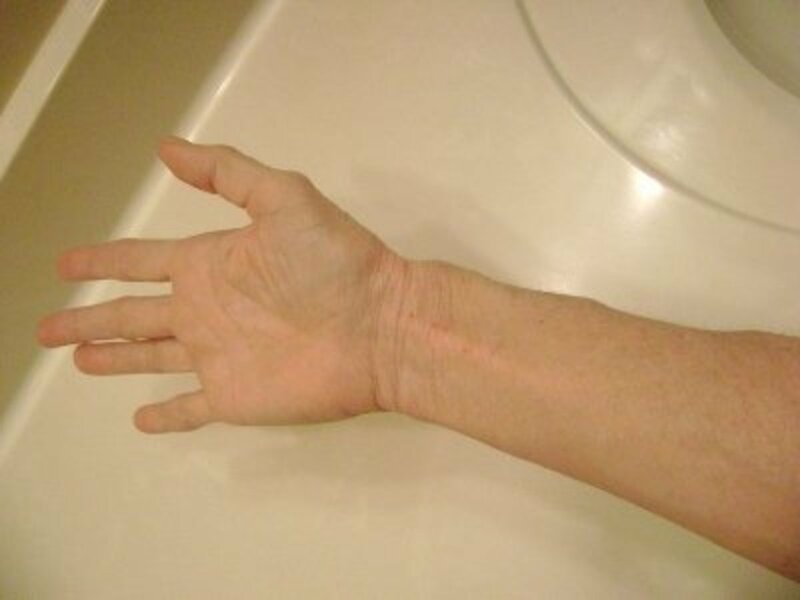 This is a pic of the mysterious alien red bumps that appeared the summer of 2010 and had the doctors stumped. 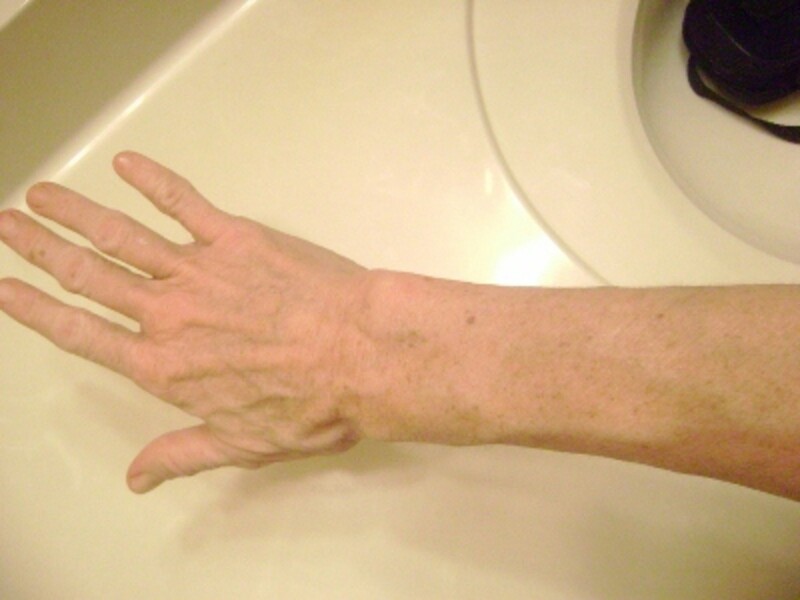 I then discovered at age 55 that my 50+ cumulative years of steroid cream on my hands had me hooked. This was actually the third time in my life that I had a rebound effect but the other two were on my face at ages 13 and 23. I used less often during the summer and the outbreaks were in early fall both times. This one was later August which again would explain it as I cut back on using the steroid cream in summer months. The previous facial flares looked and felt like a hot lava volcano eruption and calmed down after a few weeks. At that time, I had no idea what a rebound was so it must have stopped after I used the cream on my hands again. I never used it on my face but a few times later in life but that does not matter, the skin is one organ and the steroid penetrates the blood vessels and can affect any and all parts of the body. The red bumps came back several times throughout my journey along with various other alien attacks on my body that had my doctor scratching her head until she actually read the reports about RSS and spoke on the phone with an experience dermatologist who instructed her to help keep me comfortable as possible and what I might endure for a very long time. My doctor was a huge support and help to me during an awful time in my life. The first pic is my arm off steroids after 20 weeks of no steroid cream for the first time since I was a young. The rest are pics from the early months of my journey which took a turn for the better at 27 months post topical steroids. I caved in my mid seventh month and used low-dose oral steroids to heal the skin but it only came back with a vengeance after a month of trying that and tapering off, so oral steroids were no better and probably worse. This was truly the worst nightmare I could ever dream of going through. My weight dropped to 111 but is now back to 127 and I am 5' 7". I had various symptoms that freaked me out but thankfully my doctor was a big help in monitoring me along through it. A common symptom that come with RSS are large lymph node lumps as I had golf ball size ones in my groin that are now the size of large grapes. I am 33 months post ts and still flaring off and on in my unhealed areas but for the most part, I am much better and able to go without any medication for the nerve pain and itching since mid December 2012. Update 2/3/15: I am now 53 months post topical steroids and have slight flares on my upper legs but the healing is evident although very slow, my body is healing itself. 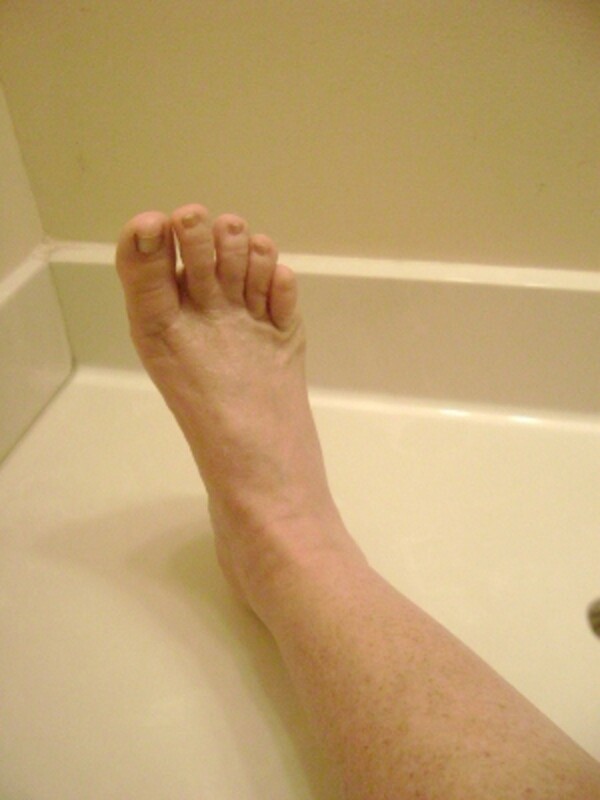 Update 5/28/15: I am now 57 months TSW and my one bad area of upper legs is finally healing! The lymph node lumps are still shrinking and itch more in the morning when I first get up and for a few seconds off and on throughout the day but it's so minimal to the 24-7 itch I used to have. I'm getting there! Update 2/18/16: I am healed since December 2015 and wanted to make sure that my skin did not act up anymore! Finally, almost 6 years of recovery but I'm so glad I made it through to a life of no topical steroid dependence. My bones and eyes however have taken the brunt of the side-effects as I have osteoporosis, osteoarthritis and gel eye floaters. Update 7/23/17: My skin is great and needs no moisturizer or special anything as it healed from steroid-induced Red Skin Syndrome. My bones however are not good along with my tendons. I am in therapy for chronic tendon issues in my ankles and feet and cannot tolerate cold in my bones due to the osteoarthritis. I continue to raise awareness to help prevent this travesty in other people's lives, especially children. Update 9/7/18: My skin is great still since I stopped all forms of steroids. My doctor has documented Red Skin Syndrome with this ICD 10 Code "(L98) Other disorders of skin and subcutaneous tissue, not elsewhere classified"...in my medical records and I wear a medical necklace that says "no steroids." The issues I'm still having are bone, muscle and tendon problems. 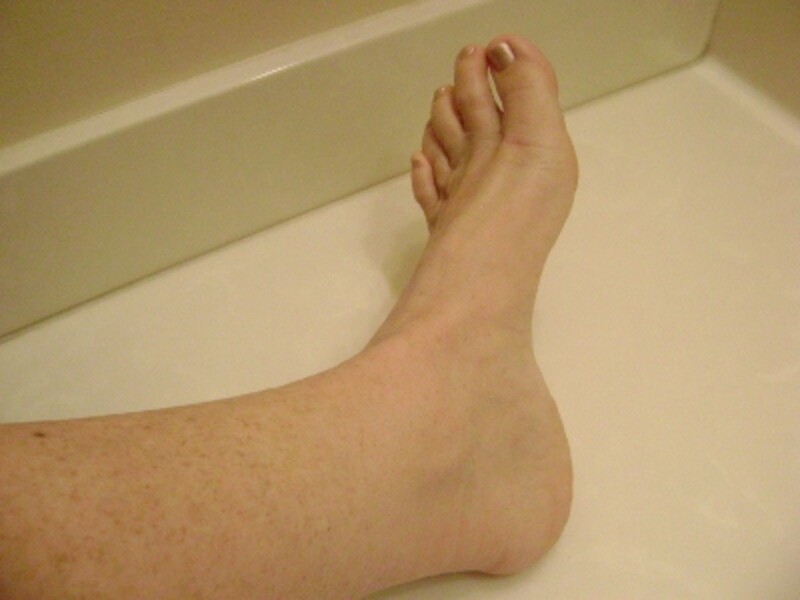 Some tests showed thickening of tendons and I was told I have chronic plantar fasciitis which causes my feet and ankles to be stiff, painful and tight. 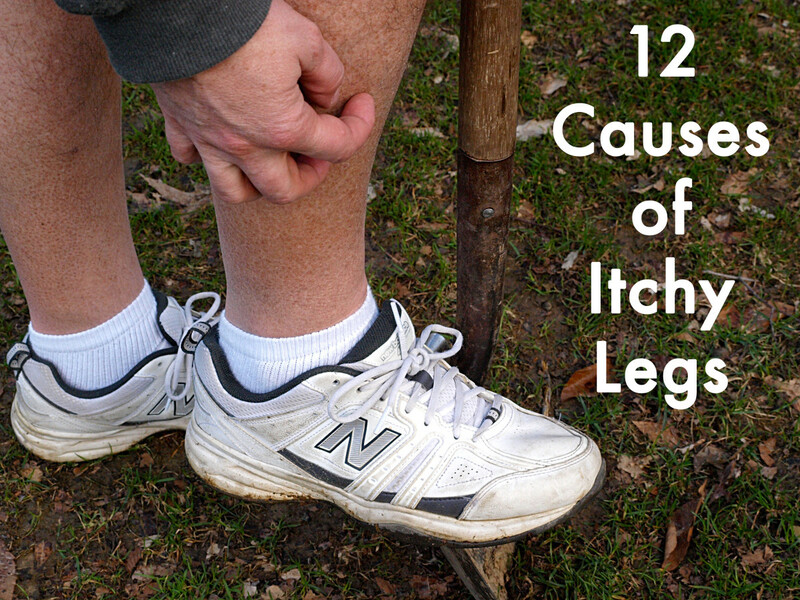 My body aches severely at night which is hard to determine which issues are causing it or all of them? Thankfully, I've found that CBD oil in a bedtime tea helps reduce the pain and greatly help sleep. For the rest of my days here on earth, I will do whatever possible to bring awareness to this perhaps unknown more than rare medical and social travesty. I realize that many people may be able to use topical steroids and never get addicted but how to tell who will or won't? It would be nice to find out just what it is in some people that they do get addicted or have an allergy to this drug from using for just a short time or long time. You are probably wondering what kind of cream I used instead of steroids and honestly no one method of comfort works for everyone. Some people absolutely dislike any ointment on their suffering skin and that is understandable, each person should do what feels best. I won't go into the whole eczema ideas of leaky gut, food intolerances, irritants and family genetics with it as everyone seems to have a theory about it. There are people getting addicted to topical steroids for using them to lighten their skin so this is not just about eczema. I do think my eczema could be hereditary as my dad and brother had bouts with it but never severe and my brother grew out of it. 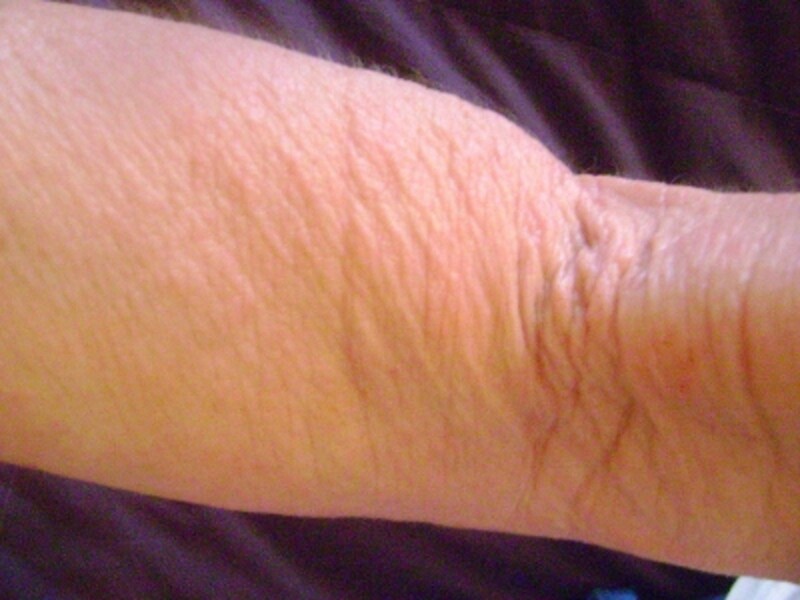 Some dermatologists from the older generation of dermatology say they rarely saw adult eczema back in their early medical days. There is speculation that most adult eczema today is steroid induced and I pray daily that better methods to treat it are found. 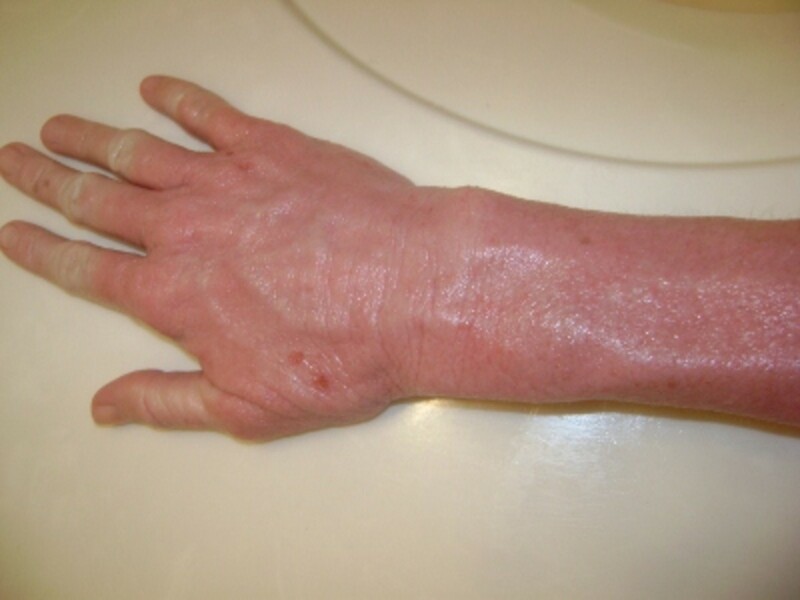 A word of caution: Topical steroid withdrawals wreak havoc with skin for a long time and can cause a lot of irritation to things that normally would not bother it. A good way to find out what you prefer might be using something safe on one small area of an arm or leg and not using on the other one to make an evaluation. The other thing is your skin might change over time and like or not like something so you kind of figure it out as you go along in this journey. Spot test on a small area with anything new. 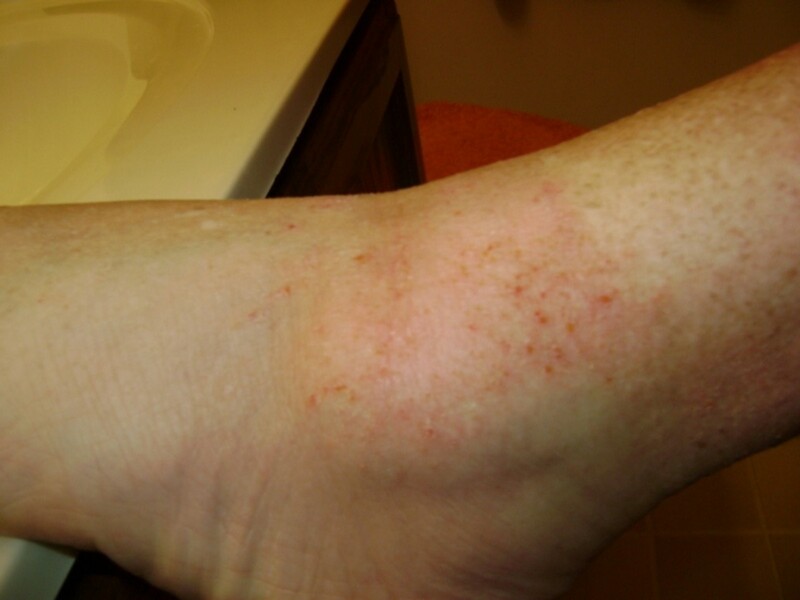 Do You Use Topical Steroid Cream for a Skin Ailment? Share Your Opinion and Thanks! Thanks Nell, I never knew I was dependent until I discovered the rebound I had if I went a week or two without using the steroid cream. That is the test, go without for a while and see if the red, hot skin kicks in along with the TSWS symptoms listed on the ITSAN.org website. I would not wish it on anyone. Ouch! like anything else it should be in moderation as you said. I am lucky enough not to have got addicted to it, but glad you are okay now. Yes, a common side effect of too much steroids or applied on the face, so sorry. I too have a gel substance floating in my right cornea as of the past month and I can see it all the time. Eye doc said it will always be there but hope that it does not attach to the retina. 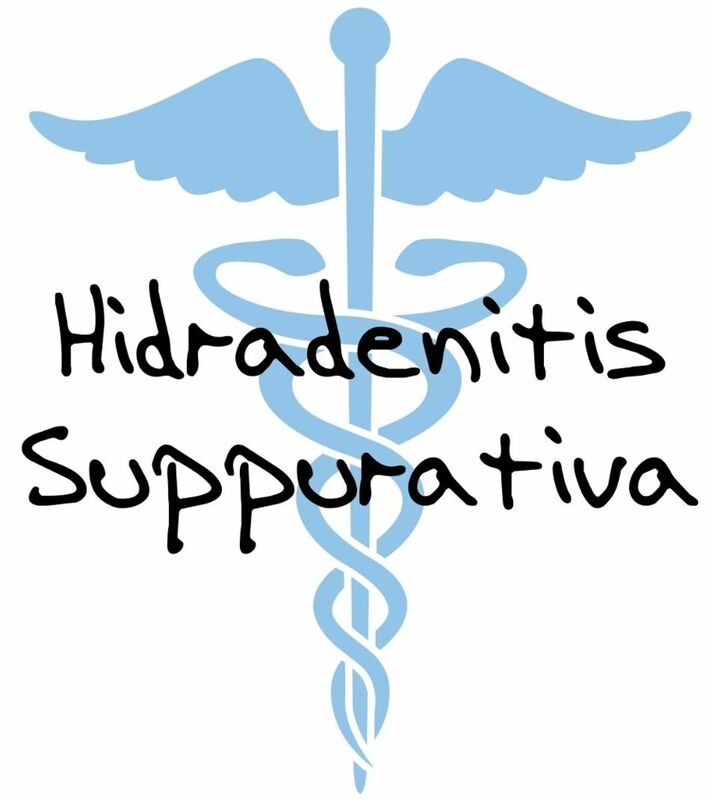 The side effects from Topical Steroids are many and not brought up enough in my opinion. I came back to say that the side effect of the cream has given me cataracts! Fact! I have always used becotide for asthma which is a small amount of steroids, and have never had any problems. then when I got eczema I used a hell of a lot of cream, now I have CATARACTS! And yes its definitely because of the cream! I am so glad I found this page. I developed eczema this winter at age 48 after never having a single bout of it in my life, in fact my skin has always been oily but this crazy winter, eh. Anyway, the docs prescribed steroid cream and oral steroids but I was afraid to take the oral steroids and have just been using the cream. I have noticed after a month of use that instead of making it better as it initially did, the condition has stabilized so that the three or four annoying and ugly red patches on my hands are stubbornly staying put. I am going to throw away the steroid cream and search of homeopathic remedies. Jeesh, you just cant trust anything. Thanks for stopping by Gordon. Back before the advent of topical steroids around 1952, the usual protocol was sun at the beach and coal tar ointment. The majority of the kids cleared after that with cooler weather bringing on eczema flares again but all eventually grew out of it. I suspect that widespread prescribing of topical steroids for too long and stronger types, have exacerbated the condition so much that much of what we think is true eczema is "steroid induced" eczema. Mine always got better in the summer as I would swim in pools and lakes with ample sun exposure. The problem is that once your body is addicted, nothing short of time will cure the rebound effect of this drug, although sun in later stages may help some. BTW, every time you use ts in your lifetime, your blood vessels remember so all use is cumulative. I would never advise anyone using it for over two weeks on any one area of the body due to the rebound factor of today's potent steroids. Apparently, as a baby, I was bothered with eczema but it cleared up pretty much until I was in my mid-twenties. Then it returned with a vengeance and with little or no warning. My arms and legs were the main affected areas. I remember ending up in hospital for about ten days with bandages soaked in who knows what wrapped around me. I still have problems but my doctor strictly controls my access to steroid creams and the likes. I am instead given simple moisturising creams and told to get out in the sunshine for my dose of Vitamin D.
Do you know what helps me more than anything and always has? Sea water! We don't always have the weather for jumping overboard when I go fishing here in Scotland but a bath in water heavily laced with sea salt does me the world of good. I don't know if it's something you've ever tried but it certainly works for me. I really hope your worst times are over - I know what it's like to some extent though have never experienced anything like what you have clearly suffered. Thank you for your comments Audrey and Nell. It was horrible and made me not want to live many times but now I am redeeming my suffering to help others so good comes out of any bad situation if you allow for that. It does sadden me to see all the babies and children going through it though and I pray that enough FDA complaints will warrant steroid warning labels on every strength of topical steroid. I was so relieved to see your "after" pictures! But I am so sorry for the pure hell this must have been for you! Thanks so much for sharing your story with us, its upsetting, very frustrating and at the same time great to hear that you have ditched the profit hungry medical and pharmaceutical world and are have taken control to deal with your health in a natural and holistic way. Unfortunately today, the pharmaceutical world is not overly concerened about creating treatments that cure people of their conditions, they are more interested in supressing the symptoms so that you continue to buy their harmful chemical based concoctions. That's all medications do is to deal with the symptopms and not the cause of conditions. Skin conditions are your bodies way of letting us know that something on the inside is wrong and out of balance. Usually its due to a poor functioning digestive system and toxin build up. The only way to deal with this is through adopting a healthier diet. There is so much more I could say about this subject, as it angers me to see people suffering at the hand of greedy pharmaceutical world and the modern medicine world, when it does not have to be that way. When you consider that most if not all scientific studies are financed by BIG pharma, you just know that there is a conflict of interest and not one that is based on the interest or the health and curing the patient. Do you not think its time to maybe look at ditching medications and take control of your own health and look for natural alternatives? 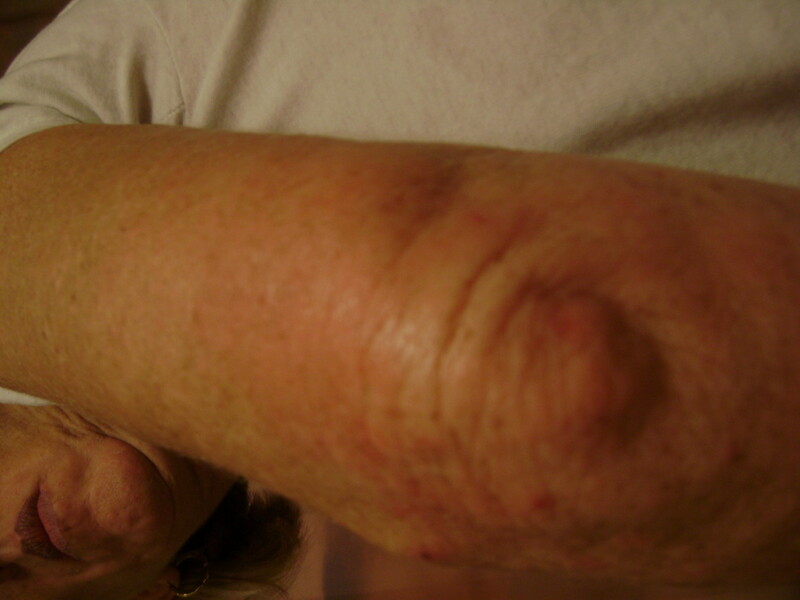 Barbara, you can develop diabetes from topical steroids. Read the side effects on any medical website. The problem is that they say is it "rare" and that is not true. You can reverse things by stopping the steroids asap. Most symptoms will eventually go away, but I'm not going to sugarcoat it, this is hellish and hard at first. It sure beats glaucoma, diabetes, bones turning to dust, Cushings disease and a host of other ailments. Do check out my website and the support group link in my link section. You can get so much support from the red skin syndrome group as we are all going through withdrawals and we will heal in time! cortizone in any form, shots for joint pain etc. will raise havok with glucose readings, it won't cause diabetes but may give the appearance of it. talk with your doc. best bet. 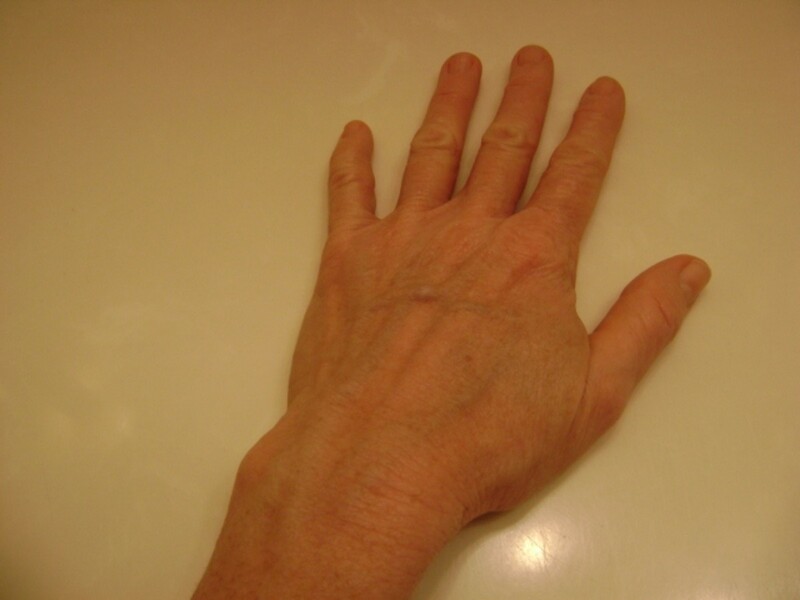 I developed diabetes after using the cortisone cream for excema. I wonder now if that is why. I'll try the bathing in epsom salts.